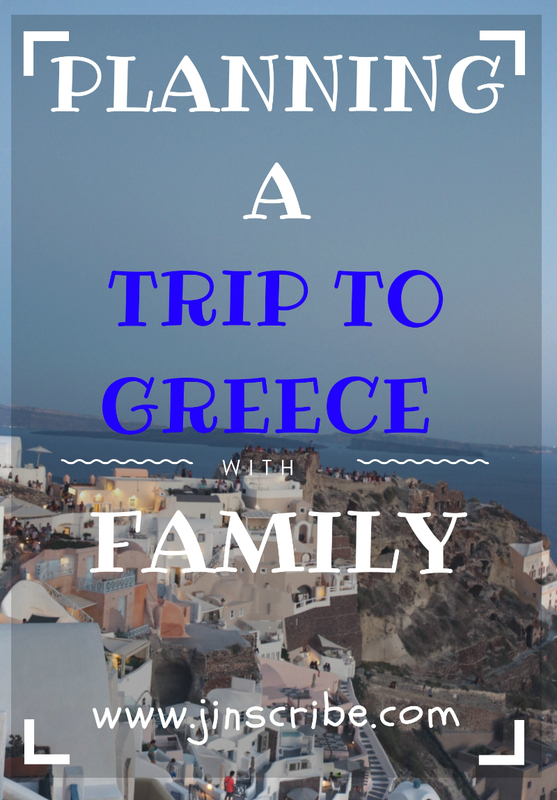 Planning a Vacation to Greece with family? Not sure about where to go and where not? Well, you are at the right place then. I traveled to Greece in summer 2018 and I am totally in love with the place. All the hype for Greece as a travel destination is kind of true. I went with my family(I mean full family 🙂 ) my husband, in laws and my daughter. 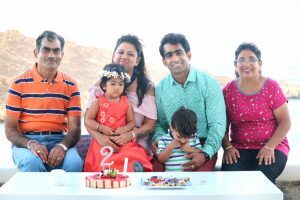 It was my first visit to any European country and it was more special because we were going to celebrate my daughter’s 2nd birthday there. Infact my in laws came all the way from India mainly to celebrate her birthday with us. 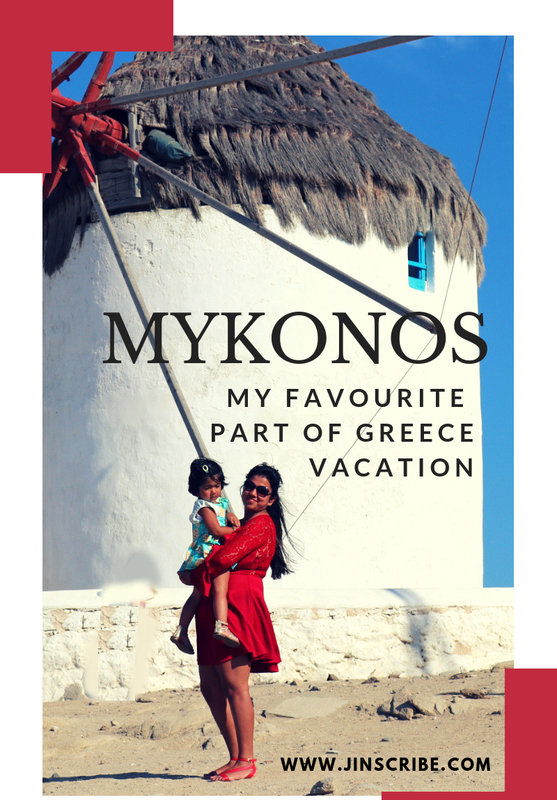 In this blog, I will be sharing my itinerary and all the planning phase for Greece vacation. Some places were more beautiful than my expectation and some were just ok. 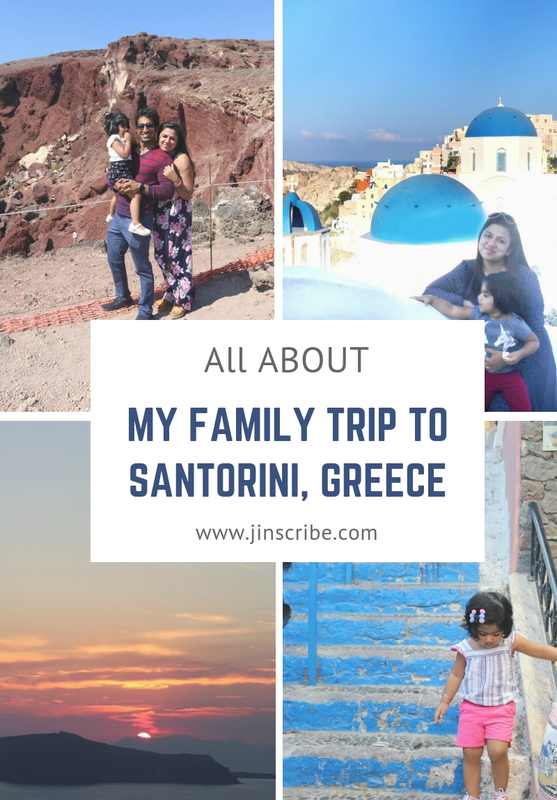 I will also share when and from where we did the bookings and what budget you actually need for a family trip to Greece. 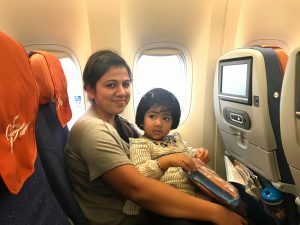 Hope It helps you to plan a trip with your family. Best time to travel to Greece: Google says, best time to visit Greece is early summer (Mid-April to Mid-June) or autumn (Sept to mid-Oct). But we went to Greece in July end. So our time period was July-end to August-starting. I am not sure why Google skipped these months but this seems to be the peak time to travel to Greece. Streets, hotels and beaches were all full. Even the restaurants (good ones) needs advance bookings. People from nearby islands (that are not so famous) move to the more tourist friendly places for work in summers. During our stay, it was veryyyyyy hot. So I was tension free when my water lover daughter wanted to stay in water all the time. 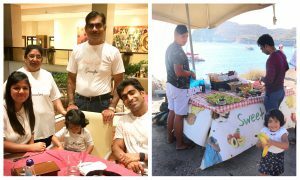 I really recommend planning your trip in summers because Greece seems to be a perfect summer destination to me. Budget: Before you finalize Greece as your destination, you need to consider the budget. Greece is cheaper than other European countries but if you are planning to go in summers be ready to pay highest prices. How much you need for your trip to Greece depends on how flexible you are. 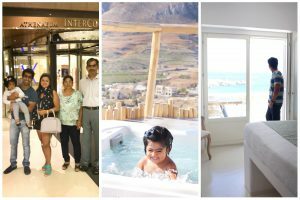 We travelled with Family so we were not that flexible and we were looking for good options to stay like individual villas/resorts or family rooms. Flight tickets, Hotels, food and transportation are the main things you will spend on. So for a trip of 4 adults and a kid, we ended up spending $12K to $15K on a 10 day trip to Greece. Within this amount, we stayed in really good places, ate in high end restaurants(and some local vendors too) and traveled platinum class in all ferries. We did all the bookings at last minute and that is another reason why we end up spending so much. Booking in advance will save you a lot. Book separate appointment for each traveler as there is no concept of family appointment. We took only one appointment but the people at embassy said one appointment is for one person only. They were understanding and entertained both of us. You need to carry all your booking documents for visa so book tickets, hotels etc in advance or book with refundable option. Also make sure your passport is valid for at least 6 months from the date of travelling. Even if you are travelling together, make separate file of documents per traveler. Bookings– There are many ways you can get the bookings done. From travel agent, packages from travel sites or can do everything on your own. We booked everything on our own. 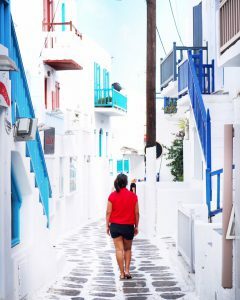 Island Hopping – Greece is a country where you will end up island hopping and would like to travel from one island to another. Creating an itinerary become more difficult as you have to plan your route up and down in such a way that you save as much travel time/money as possible. Below is the chart for how we traveled from one island to another. Ferries – There are many ferries that run between islands and is a great mode of transport. There are various seat types to choose from(VIP,economy, platinum etc.) while booking ferries. We chose platinum as it was reclining seats in separated section of the ferry with a bar and snacks corner. Also, there are express ferries and normal ferries. Express ferries run faster and saves a lot of time. We preferred saving time so travelled from express ferries. Let me tell you why this route(mentioned above).We went to Santorini directly from athens airport because flights from Athens to Santorini (if booked on time) are not expensive but saves a lot of time as compared to ferries. Also we had to take flight to our home from Athens only so we kept Athens as our last stop. 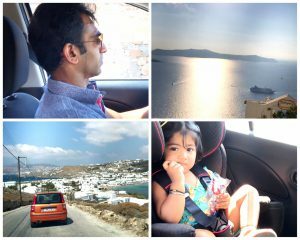 We booked ferries from our way to Mykonos from Santorini and then from Mykonos to Athens. Do you like to drive outdoors? Driving Permit – European countries need tourists to carry international driver permit along with the license of your respective country. Left/Right Hand Drive – Europe comes under right driving countries. If you are from country where you drive on left, you need to be very cautious and confident before going for rental. We rented within Island but used cabs while travelling to/from airports/ports. Do plan things in advance so you can save on tickets and last minute inflated prices for hotels. Even if you have all the money to spend on cabs, I will suggest that you rent a car or moped for some time. Driving in the serene beauty of Greece will be a different experience. Santorini(3 Nights) – I always wanted to visit this place. I have seen this place so many times (in movies, post cards, travel blogs) that I somehow fixed that I would travel this place no matter what so Santorini was a must for me. 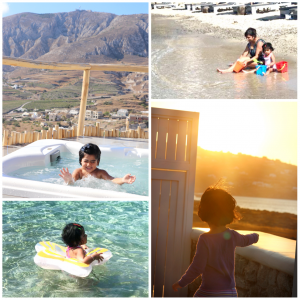 Mykonos(3 Nights) – Another destination we chose was Mykonos. It is also called party capital of Greece. This island looks more lively at night than day. Almost every restaurant opens till midnight and many places opens till 4 – 5 AM in the morning. Athens(3 Nights) – It is the capital of Greece and also has international airport so becomes a part of your itinerary on its own. 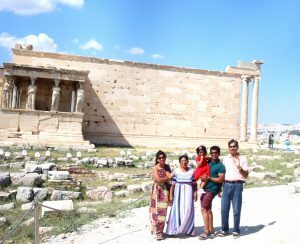 Our reason to stay here was to explore the city life in Greece and the famous acropolis. 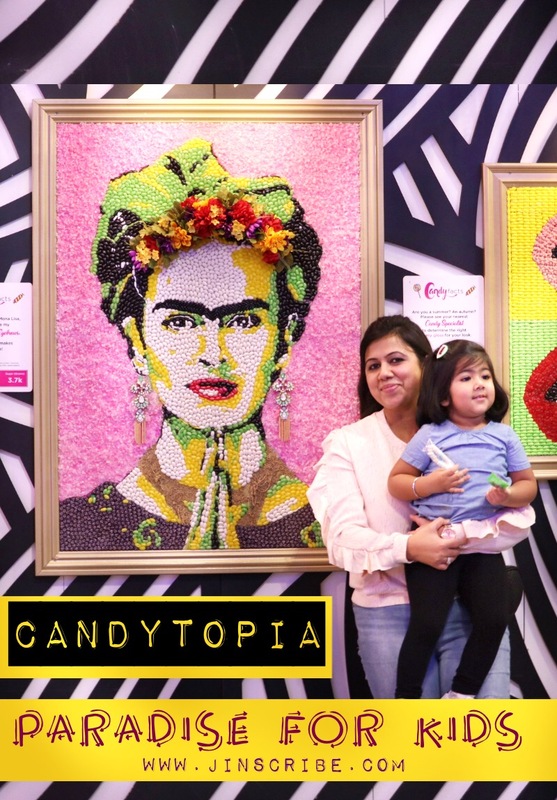 I will be sharing my experience of these three destinations in different blog posts because there is so much to share. I feel Greece is a perfect place to visit when you are in desperate need of a break or you want to enlighten yourself from day to day life. Well I think that’s true for all the vacations 🙂 If you need more specific details, please feel free to ask anything via comments and soon there will be specific blogs for each destination and will talk more about what places we visited, what restaurants we explored and where we partied at night. Have you ever been to Greece or any other European country? Which places did you add in your itinerary?Share your details in Comments. Very nice. You did good job to write your journey in words. I’ve never been to Greece, actually only once out of the US and it was to Mexico as a child. I love all your tips! I didn’t realize all you had to do to visit abroad. Greece is on my bucket list for sure, thanks! Your Greece trip is absolutely stunning. And love that you shared the planning and traveling tips as well. Especially with children. My baby hasn’t been to India yet (where dad is from) and will refer back to your tips when we go 😀!! I have heard that Greece is amazing and these pictures look so beautiful! I’m a bit nervous as I’ve never left North America and I know that it’s a very different experience! Having to get the Visa intimidates me! This is so beautiful! Love the pool overlooking the scenery!